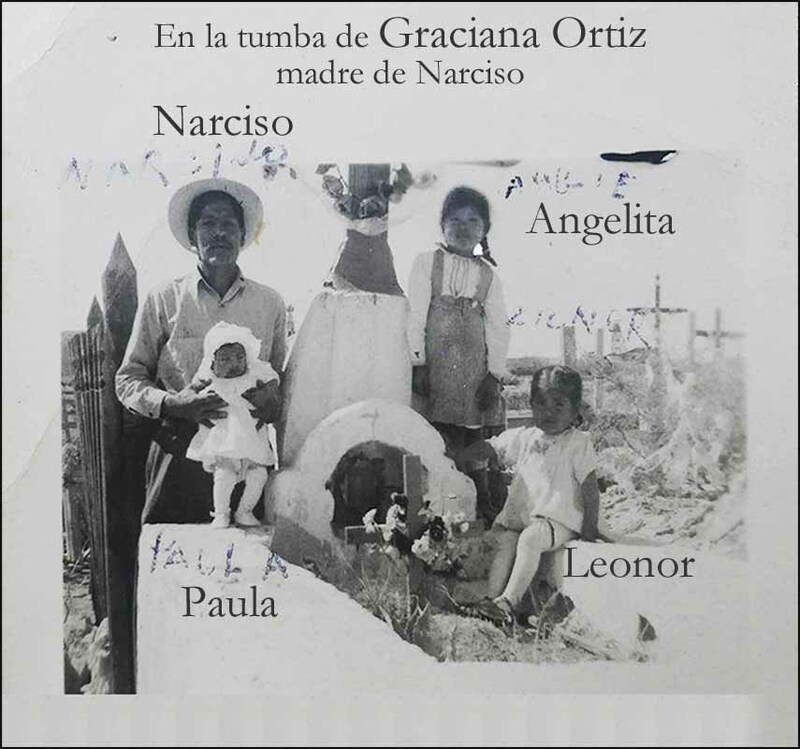 "this is my grandfather Narciso Ortiz Quistiano with his children Angelita, Leonor, and Paula Quistiano at his mother's grave Graciana Ortiz. 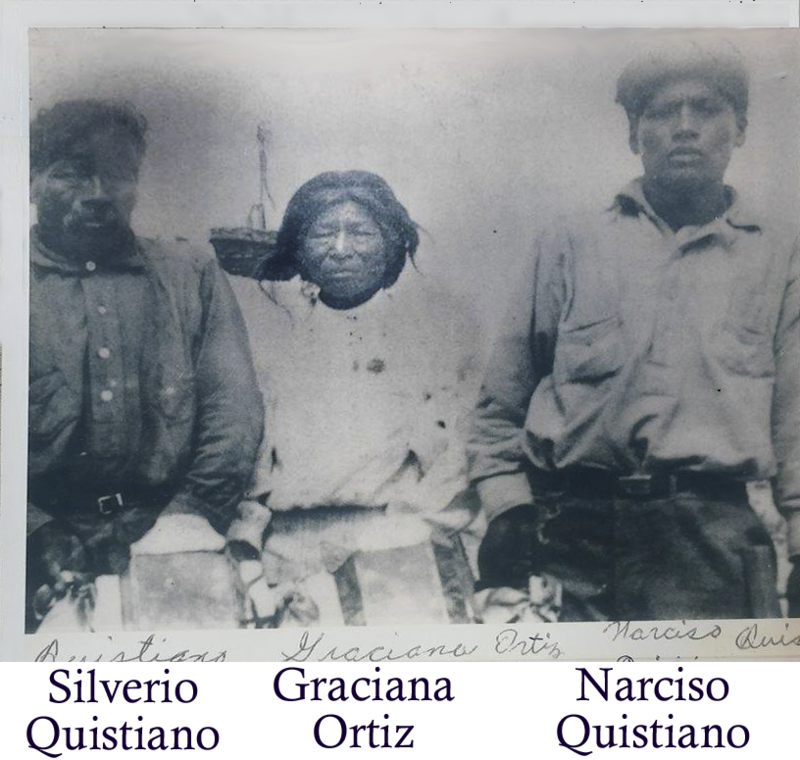 Narciso’s father Silverio Quistiano is buried next to Graciana. 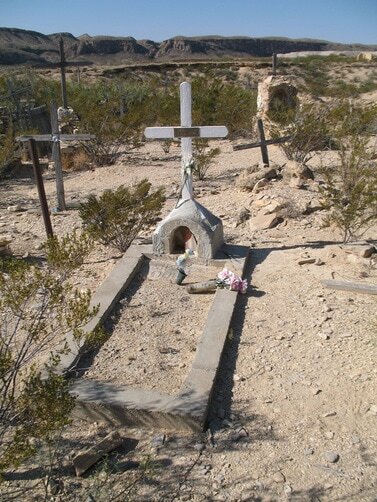 Narciso was an informant for the cemetery and a worker at the Chisos mines. 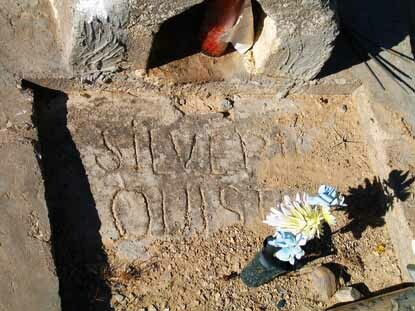 FOR THEM AT THE CEMETARY OF ST PETERS. 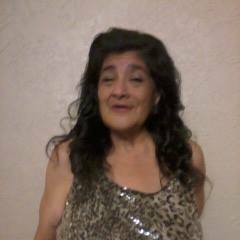 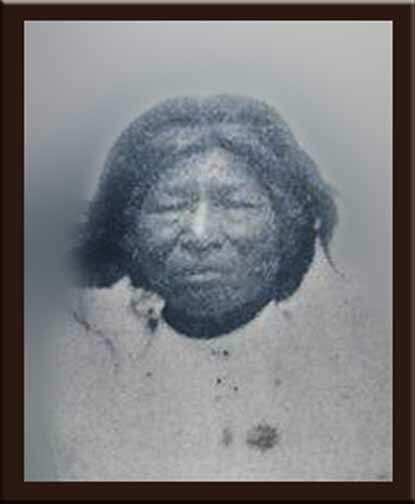 Consuelo Loera, grandaughter of Narciso provided the inormation and photos on this page.